St Muredach's wins Connacht Schools U-14 Development League Final. A convincing 19 - 5 victory over a fine Athlone Community College side today in the Sportsgrounds, Galway, brought the Development League title moyside. Conor is top of the world! 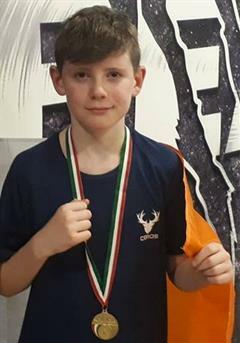 Conor Gorman wins gold at kickboxing world championships.